Motorola has launched two new versions of their Xoom tablets, where One Mobile Ring has captured on video a hands-on walk through of both the Xoom 2 and Xoom 2 media tablets. One Mobile Ring has recently attended a press event for the launch of the successor to the Motorola Xoom tablet – the Xoom 2, where we are now publishing the differences between the two models. One Mobile Ring has just caught up with Motorola at a press event in London, for their new Xoom 2 tablets. The week started with the Samsung Galaxy Nexus going on sale on November 17th and Galaxy Note hitting stores on Thursday, Sony bought Ericsson out of Sony Ericsson and the Porsche designed BlackBerry mobile phone was announced. Motorola sold 100,000 Xoom tablets in three months, Windows Phone ‘Mango’ update is now available for all WP7 mobile phones, Sainsbury’s is to launch their own mobile phone network, Virgin Media offered free Spotify Premium for six months on mobile phones and Nokia Windows Phone 7 ‘Mango’ Lumia 800 mobile phone is under £400 on pay as you go deals with Three. 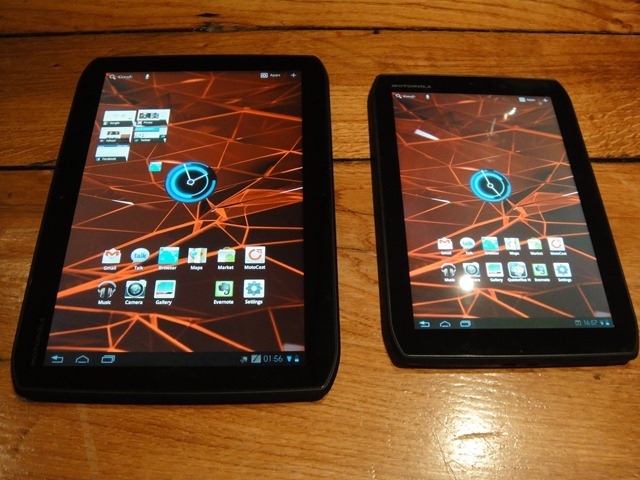 Recently acquired Google mobile phone company Motorola Mobility has just announced the Xoom 2 and Xoom 2 media edition, as the successors to their first Xoom Android tablet from earlier this year.